The best designs, the most choice, the highest quality. Here at Furnitec we offer hundreds of top quality cupboard door handles in both contemporary and traditional designs, and all of our cupboard door handles carry a full 10 year guarantee. An extensive range of contemporary cupboard handles and knobs. Handles and knobs in polished chrome and chrome/brass finishes. 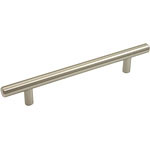 Contemporary T bar handles for todays modern kitchen or bedroom furniture. Available in many designs, these porcelain knobs will grace any type of furniture. A range of high quality traditional metal and porcelain handles. Handles and knobs in stainless steel finish with wooden inserts. 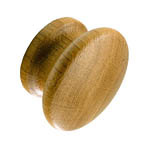 A range of solid wooden knobs in oak, beech, cherry and ebony. Traditional production methods give each pewter handle a handcrafted feel. 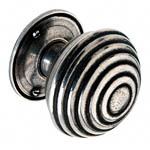 A large selection of pewter knobs and handles finished in a pewter effect. A collection of black antique handles. Beatifully crafted timeless designs. These popular shaker handles come in four finishes. A large selection of antique brass handles and knobs. Cage handles and knobs, based on 19th Century French designs. 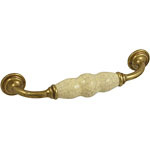 A selection of solid brass knobs and handles suitable for all types of furniture.